The hospitality sector aims at employing 2,50,000 people, airlines and airports around 1,50,000 and tour operators around 45,000. The mega Kumbh Mela, which began on January 15 and will continue till March 4, is expected to generate a revenue of Rs 1.2 lakh crore for Uttar Pradesh, says apex industry body Confederation of Indian Industry. The employment numbers in eco-tourism and medical tourism are being estimated at 85,000, says a CII study. This will lead to increase income levels for government agencies and individual traders. Attracting a massive number of foreign tourists from various countries like Australia, UK, Canada, Malaysia, Singapore, South Africa, New Zealand, Mauritius, Zimbabwe and Sri Lanka, the Kumbh is a festival of the world. 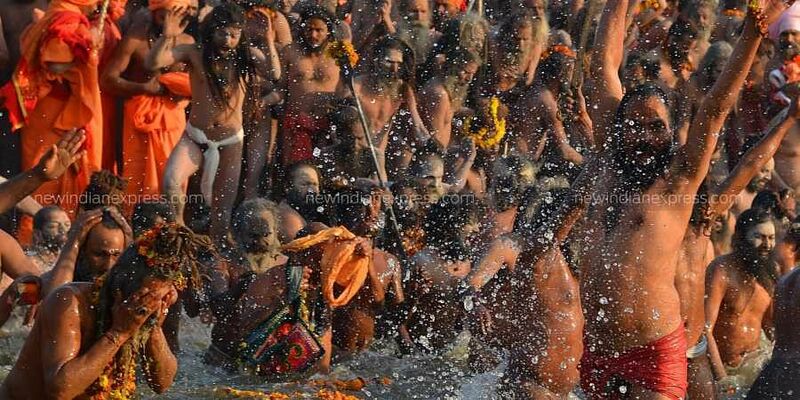 "The UP government has allocated Rs 4,200 crore for 2019 Kumbh Mela. The previous state government had spent around Rs 1,300 crore for the Maha Kumbh, which was held in 2013," state Finance Minister Rajesh Agarwal told PTI. It is a celebration of an ancient tradition, a dip in the holy waters where the mythical Saraswati, Ganga and Yamuna meet.